Norbain has announced that Pelco will be showcasing its new Optera Series ‘panomersive’ cameras at IFSEC International 2015. 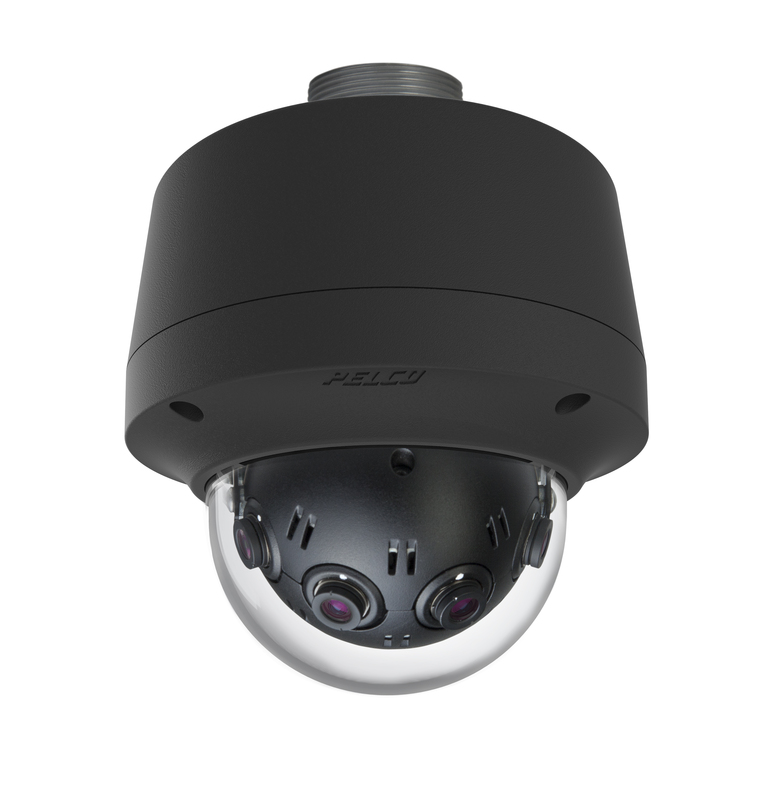 These high resolution cameras with panoramic viewing and SureVision 2.0 Wide Dynamic Range (WDR) “bring a new dimension” to CCTV, and can be seen at London’s ExCeL on the Pelco Stand (D800). The Optera Series cameras seamlessly blend high quality images from four 3 Megapixel cameras mounted within the same housing. An ultra-HD panomersive video stream of an entire scene is produced while the cameras simultaneously render detailed, immersive video streams of multiple areas of interest within the scene. Each video stream is processed separately by Pelco’s VideoXpert video management software (VMS) and other compatible, integrated VMS solutions. The panomersive video stream is up to 12 Megapixels at 12.5 frames per second in full resolution. SureVision 2.0 WDR, anti-bloom technology, 3D noise filtering and advanced tone mapping all help to deliver exceptional image quality in low light, high-contrast scenes, day and night. Privacy settings and zones are also built-in. The Optera Series cameras integrate with Pelco VideoXpert VMS and Pelco Digital Sentry systems. Integration with major third party VMS solutions is enabled using the Pelco API, Panomersive SDK and ONVIF standard as well as client-side de-warping. Pelco video analytics is applied across the Optera Series’ wide field of view and includes abandoned object, adaptive motion detection, camera sabotage, directional motion, loitering detection, object counting, removed object and stopped vehicle.